92. Is there any truth in the stories about speaking tubes on Hadrian’s Wall? And soe from sea to sea could I be whispered through. Although it was repeated by Camden, Collingwood Bruce rightly pooh-poohed the story and pointed out that no such brass pipes have ever been found, although noting that a similar tradition existed about the Antonine Wall. Myth has a powerful place in the story of Hadrian’s Wall. The area of Sewingshields Crags has come to be associated with the tale of King Arthur lying asleep in a subterranean cave, waiting to be awakened to save England. 91. How did the Romans communicate quickly along Hadrian’s Wall? By means of signalling. A few basic facts about Roman signalling survive, including the use of fire, smoke, and wooden beams. The first two are fairly obvious but the last, which is only mentioned in passing by Vegetius, is rather obscure and not understood. Beacons are shown being prepared and used on Trajan’s Column, presumably for the purposes of signalling. Modern studies have examined lines of sight between signal stations, forts, milecastles and turrets in the region of the Wall. Some signal towers allowed sites that could not see each other to communicate, as Barcombe Hill signal station did for Housesteads and Vindolanda. 90. Where can I see reconstructions of Hadrian’s Wall? There are full-size reconstructions of the stone curtain wall (narrow gauge) at Wallsend (on the other side of the road from the fort and museum) and (broad gauge) at Vindolanda, together with a stone turret. Vindolanda also provides a length of the Turf Wall rampart and a timber milecastle gateway. A full-size replica of the Turf Wall is also present in the Border Galleries at Tullie House Museum in Carlisle. 89. Where can I see things excavated from Hadrian’s Wall? The visitor to Hadrian’s Wall is fortunate in having access to a fine series of museums containing not only finds from generations of excavations, but also explanatory material. These are located at Carlisle (Tullie House), Birdoswald (site museum), Carvoran (Roman Army Museum), Housesteads (site museum), Chesters (site museum), Newcastle (Great North Museum), and Wallsend (site museum). The Great North Museum contains most of the material that used to be in the Museum of Antiquities in Newcastle (to which older books tend to refer). 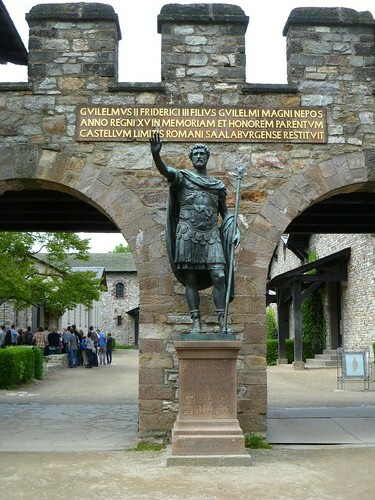 In addition, the Stanegate sites of Vindolanda and Corbridge both have excellent museums as well as sites worth the detour from the line of the Wall. If only to see the magnificent reconstructed gateway (there is actually so much more), a journey to the fort at South Shields will likewise repay the time and effort. 88. How many tourists visit Hadrian’s Wall every year? There is no simple answer to this, as the statistics vary along the line of the Wall. Moreover, it seems there is more than one way of counting a visitor! However, it has long been well known that the central sector, and especially Housesteads, attracts the largest numbers; that site enjoyed a peak of over 150,000 annually in the 1970s but has since declined to around 100,000. 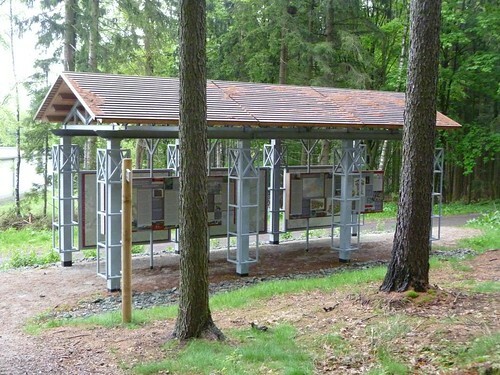 Since the opening of the National Trail, a new type of visitor, one not necessarily overly concerned with the Roman Wall, but rather with completing the Trail, has appeared. Automatic counters set up along the route show more than 7,000 people a year walking the Wall. In the central sector this climbs to well over 30,000 at Steel Rigg, reflecting day trippers out for a stroll (intriguingly classified as ‘amblers, ramblers, and scramblers’). 87. When did tourists first start to visit Hadrian’s Wall? There is a blurred line between antiquarians and tourists, but one of the first true tourists must have been William Hutton, who visited the Wall in 1801. Not only did this 78-year-old man walk the Wall twice (west to east then east to west), he walked to it from Birmingham and back again at the end – a total distance of 601 miles (he kept a careful record of his progress). His History of the Roman Wall, promptly published in 1802, is one of the first popular accounts of the monument and includes an account of his walk from east to west. Hutton was of the opinion that he was the first and would probably be the last to walk Hadrian’s Wall, but just one month later the Rev. John Skinner did the same thing, again from east to west, providing some hint of how popular walking the Wall was to become. Subsequent walkers who were to write accounts of their journeys included John Collingwood Bruce (who would go on to become the doyen of Wall studies and to found the Pilgrimages to the Wall), Maria Hoyer, Jessie Mothersole, and Hunter Davies. The weather forecast did not look too promising for our last day walking, the culmination of our trip as we aimed to reach our finishing point at Saalburg. 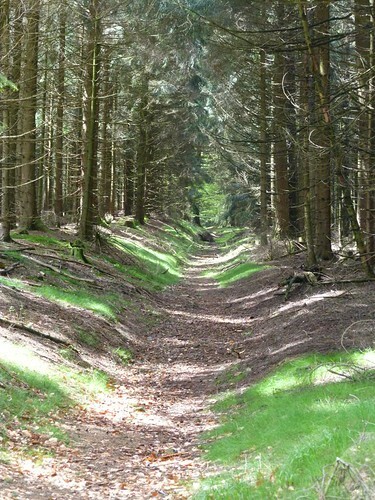 We returned to Kleinkastell Meisel, finding it hiding within its copse, and continued our journey eastwards. 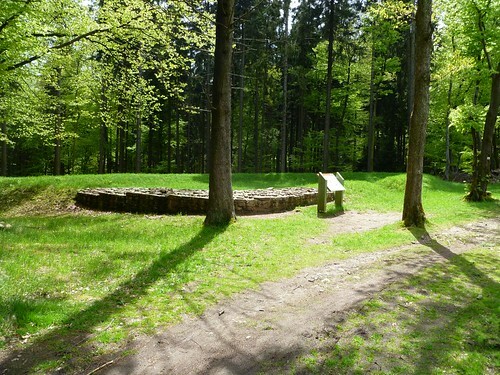 The Limesweg, after a minor zigzag, heads up to Glashütten, where an explosion of information is contained within the modestly named Limespavilion. On we go, along the valley that once housed a thriving glass-making industry in the 15th and 16th centuries, and then up, up, up to Rotes Kreuz, a pass through the Taunus for a medieval (and probably earlier) road through the Limes. Soon after we came across the remains of Kastell Feldberg, beautifully presented, were it not for the small tractor cutting (perhaps massacring would be a better word) the grass in the pouring rain. With sundry internal buildings, including an apsidal principia sacellum, and four single-portal gateways, as well as an external bath-house, it is well worth a visit. We carried on climbing gently, before descending to Sandplacken for lunch; a fine stretch of bank and ditch can be seen here, as can WT 3/54 perched precariously on the roadside verge. Remarkably, that busy old fool, the unruly sun, had begun to put in occasional appearances. After lunch we headed off once more, taking in the remains of a rather hirsute Kleinkastell Altes Jagdhaus (which, unsurprisingly, had the remains of an old hunting lodge inside it) and a contrastingly manicured Kleinkastell Heidenstock before we began a long, 3km descent to Saalburg. The sun, thankfully, was out as we arrived at the end of our 105-mile odyssey. Saalburg itself looked better than when I last saw it, freed of the renovators’ scaffolding and decidedly spruced up. The only down side was that construction work in the fabrica (oh, the irony!) meant it was not accessible. The intermittent rain showed off the eavesdrips to advantage, whilst the principia cross-hall was, as ever, breathtaking. We ate in the taberna before taking our leave of Saalburg and the Obergermanische-Raetische Limes … for the time being.